Do your little ones have a collection of treasures they love – photos, tickets, ribbons, artworks, notes and such? 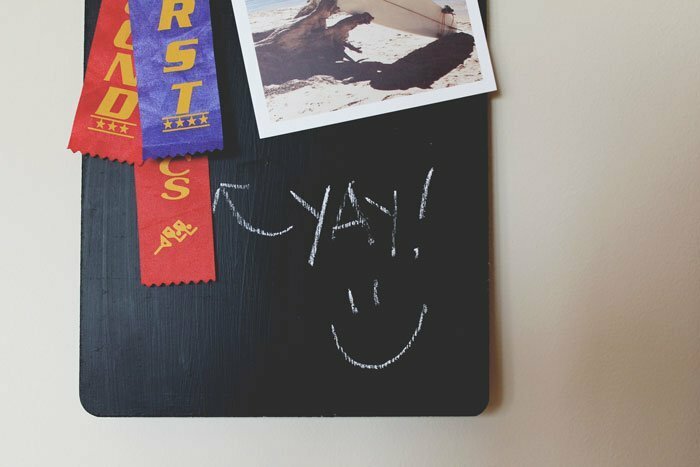 Today’s easy DIY is a simple way to create a place for your little one to display those treasures which can be easily changed – DIY blackboard memory boards. 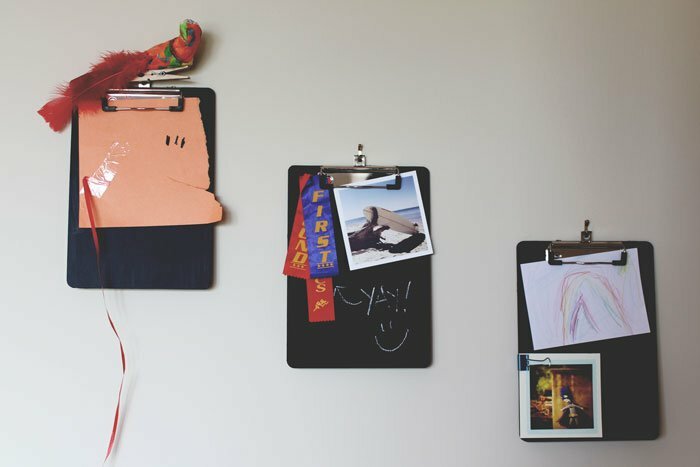 These memory boards are very easy to make and the little ones will enjoy having a place for all those little treasures that they can change whenever the mood strikes. As a parent I adore not having a pile of goodies falling over on their bedside table and being able to write notes on the boards for them. I’ve called them memory boards because the kids can use them to display things they want to remember but I’m already planning another set for what I think will be parent-handy. 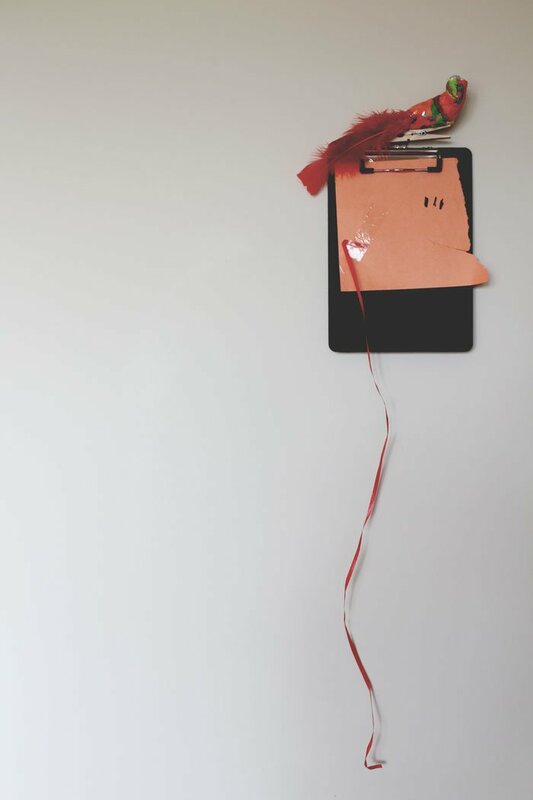 You could make one of these for each child and hang them up to hold the notes from school / kinder and birthday invitations received by each child, with notes underneath as you need. I feel more organised just thinking about it! After giving your clipboards a quick clean, place masking tape around the edge of the clip then give your clipboard a coat of blackboard paint. Allow to dry then apply another coat of blackboard paint. Once it’s completely dry, remove the masking tape and you’re ready to decorate. Easy ways to add extra items around the bottom of the boards are bulldog clips, masking tape and blu tack. Messages are simple to add using chalk and remove with a chalk eraser or damp cloth. If you find your clipboard is losing its sheen and get that ‘dusty’ white coat simply dampen a cloth with cola, give it a quick wipe and it’ll look like new.